Osaka Food – When you think about Japanese food the first thing that comes to your mind might be sushi or ramen. However, in Osaka, there are several special local dishes you must try which you might not have heard of before. These dishes are some of Osaka’s best including, but not limited to, gooey dough balls, juicy meat, and fluffy cheesecakes. Most would agree that one of the best parts of traveling is trying new food. Therefore in order for you to get the best experience possible it is important to eat the best food you can find. Luckily, for you, I have arranged a list of the dishes you must try when you set foot in Osaka. Here are the 5 local dishes you have to eat when you visit Osaka! When visiting Osaka, one of the Osaka foods you cannot possibly miss is Takoyaki. 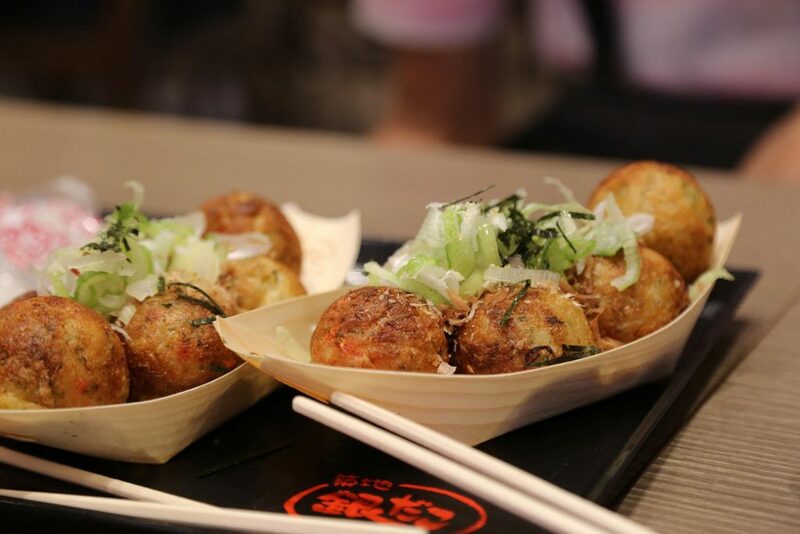 Takoyaki is a dish consisting of dough balls made out of a flour-based batter typically mixed with octopus, pickled ginger, green onion, and tempura scraps. In addition to this, due to the popularity of this particular dish, many restaurants have created different flavors and mixes, including cheese and egg. Therefore, you have a variety of options to enjoy if you’re willing to try multiple dishes. In addition to this, this specific food is great to have between meals as a snack since you can share it with others as one order typically consists of multiple balls. If you walk around Dōtonbori, a famous district in Osaka, you should find a great number of famous Takoyaki restaurants waiting for you to try their delicacies. However, once you order your Takoyaki be careful not to burn your tongue as it can get really hot once it’s freshly made! If you are familiar with Takoyaki then you might have heard of Okonomiyaki. Okonomiyaki is most famously known as being the Japanese pancake. It is a flour-based batter mixed in with a variety of ingredients. Although some might think this dish is similar to Takoyaki, it has a different charm of its own. 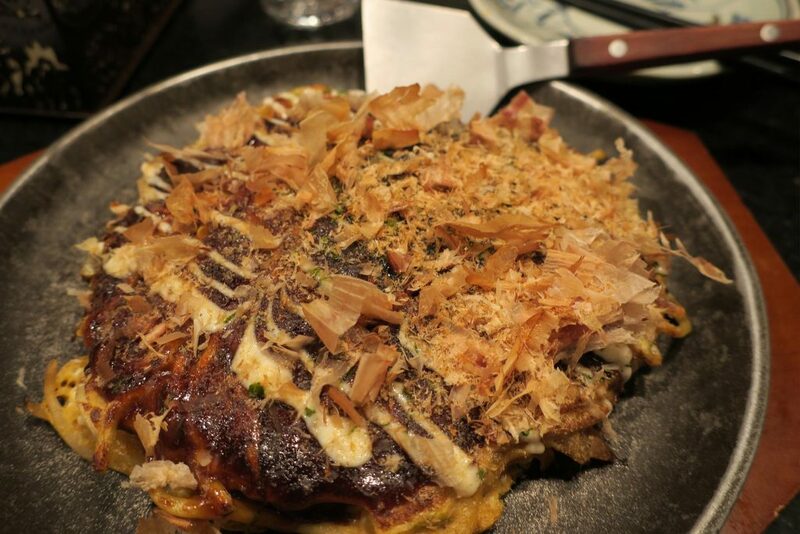 Unlike Takoyaki, Okonomiyaki has a denser texture due to the greater amount of toppings added to the batter. There is also a great range of toppings you can choose to add to this dish if you are willing to try them. In addition to this, what is great about this dish is there are many restaurants which let you create your own Okonomiyaki. All you have to do is order and they provide the raw ingredients. Hence, if you wish to enhance your experience with this Osaka food, I recommend you create your own, share it with your friends online, and flaunt off your Okonomiyaki making skills! Now, setting aside the batter-based foods, let’s talk about meat. 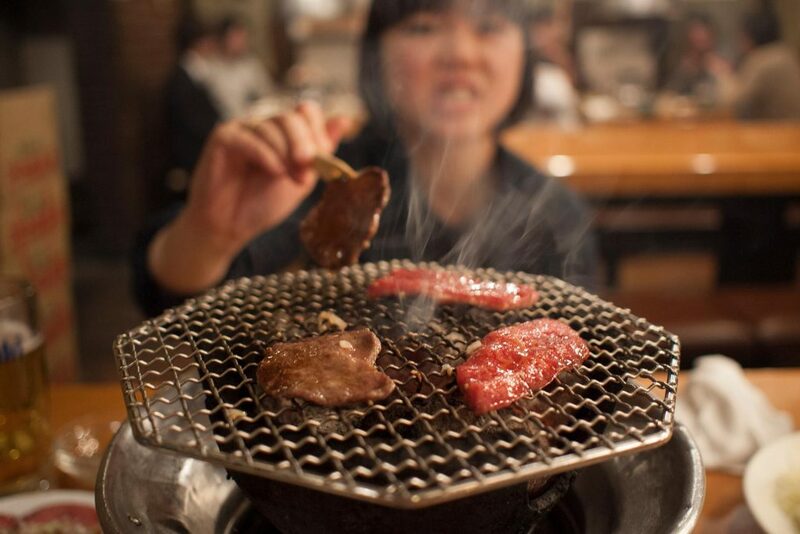 Although Japan may be famous for its fish due to sushi, Yakiniku or Japanese grilled beef, is one of its primary foods. In Japan, there are three famous brands of beef called the Sandai Wagyuu or “the three big beefs”. They are popular due to the care and attention that is put in raising the cattle in order to make the meat the best that it can be. One of those brands is located in Kobe, a city on Osaka Bay. Kobe beef, which is produced from Japanese black cattle is famous for its tenderness and marbling. Hence, if you get the chance to visit Osaka, trying this meat is a must! Now meat is great, but sometimes the best food is fried food. If you are up for having something fried, Kushikatsu is the way to go in Osaka. 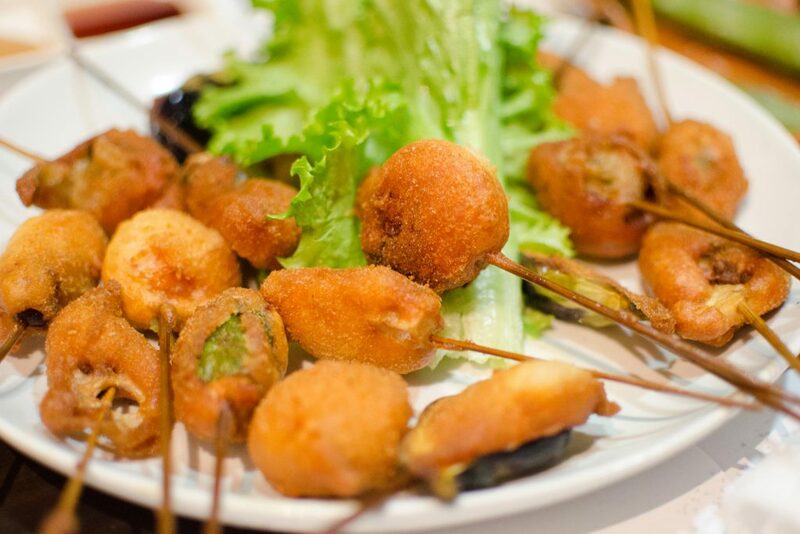 Kushikatsu is a Japanese dish consisting of fried skewered meat, seafood, and vegetables. This is a perfect dish for those who are in the mood for a drink and a light lunch or dinner. This dish was founded in Shinsekai, which is a district located near the Tsutenkaku Tower in Osaka. If you go there you should find a lot of good Kushikatsu restaurants offering a grand range of options. One thing to be aware of when eating this dish, however, is to not double-dip! Some restaurants have a big container of Kushikatsu sauce on the table, which is shared, hence there are warnings to not bite and dip your Kushikatsu again. As long as you’re aware of this, this Osaka food will be a great dish to try because sometimes, there’s nothing better than fried food. After all the meals you’ve had, you might be craving for some dessert. If you have paid attention to trendy food videos on the internet, you must have fallen upon a video of a soft jiggly cake. If you are heading to Osaka, then you are in luck, because that cake is there. 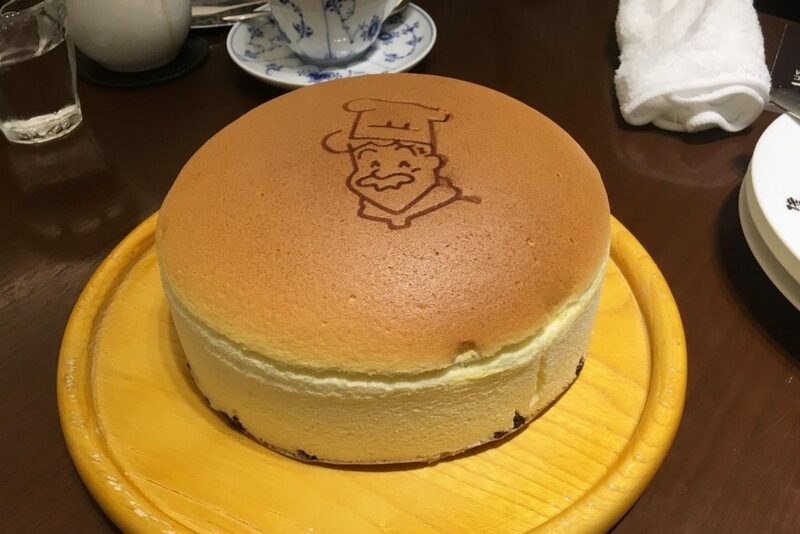 In Osaka, there is a franchise named Rikuro Oji-san that specializes in making desserts, especially its signature cheesecake. This cheesecake became popular due to its fluffy and soft texture. Another special trait about this cheesecake is that it contains raisins which add a sweet taste. Though there are multiple shops, they are all located in Osaka and cannot be found elsewhere in Japan. Once you get to a shop and hear a bell ringing, it is to alarm you that freshly baked cheesecakes have been taken out of the oven. If you get the chance to visit, you must definitely go there and upload a video of this delicacy with all its jiggliness! As you can see Osaka has a great variety of dishes all worthy of trying. 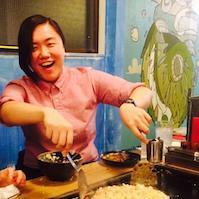 Who needs Sushi or Ramen when you can have these 5 local dishes? If you ever set foot in Osaka make sure you give all of these a try during your trip. These won’t only enhance your experience in Japan, but also show you the great diversity of foods that exist in Japan. Hopefully, this list has helped you in planning your trip and hope you enjoy Osaka food! Your Japan is a growing community, join our Facebook Group and share your Japan with us. Also, you can find us on Instagram, Facebook, and Pinterest.